"Three Wishes", "brookline", "folk tales", "puppet showplace", "puppeteers of new england", "spring valley puppets", "things to do in brookline"
work by puppetry artists from the Northeast. A Wolf in Sheep's Clothing"
is hand-crafted glove puppets weave a magic all their own. "Thoroughly enjoyable! Informative! Exceptional quality!" a professional production that delighted the students and staff. Wolf in Sheep's Clothing". Based on Aesop's popular fable, this story is enlivened with a colorful Mexican setting, a humorous communication gap, and a surprise ending! has performed with puppets since he was a young boy. He founded the Spring Valley Puppet Theater in 1977. Since then, he has performed throughout New England, primarily for schools and libraries. His work has been featured numerous times at regional and national festivals of the Puppeteers of America, and he is a recipient of the prestigious UNIMA citation of excellence. Michael designs and makes all of his puppets by hand, writes his own scripts, creates the scenery, and performs many of the voices. He graduated from Western Connecticut State College with a degree in Elementary Education and Spanish, and has created many bilingual adaptations of folk tales. Michael has been a guest instructor at the University of Connecticut Puppet Arts program, the Institute of Professional Puppetry Arts (IPPA) at the O'Neill Theatre Center, and has presented casting and hand puppet construction workshops for puppetry guilds in Connecticut and Massachusetts. "Father Goose's Tales", "Nappy's Puppets", "Sparky's Puppets", "brookline", "mother goose ryhmes", "mother goose show", "puppet show", "puppet showplace", "things to do with kids"
Mother Goose in Brookline this May! It's a weekend filled with your favorite Mother Goose rhymes at Puppet Showplace...or rather...FATHER Goose! Join Jim Napolitano of Nappy's Puppets from New Haven, CT for hilarious renditions of your favorite nursery rhymes. His signature shadow puppet style will have you in stitches! About the show: There is trouble in the nursery! Mother Goose has taken the day off, and Father Goose must do all of her chores, including the storytelling! But try as he might, Father Goose just can't get the stories quite right. "Father Goose's Tales" is a hilarious modern retelling of favorite nursery rhymes, stories, and children's songs that will delight audiences of all ages. Each performance includes a puppet demonstration and lots of audience interaction! Jim Napolitano, a.k.a. “Uncle Nappy,” is a Connecticut native and one of America’s most-loved shadow puppeteers. He is a graduate of the University of Connecticut’s Puppet Arts program, and has taught puppetry to students of all ages throughout New England. 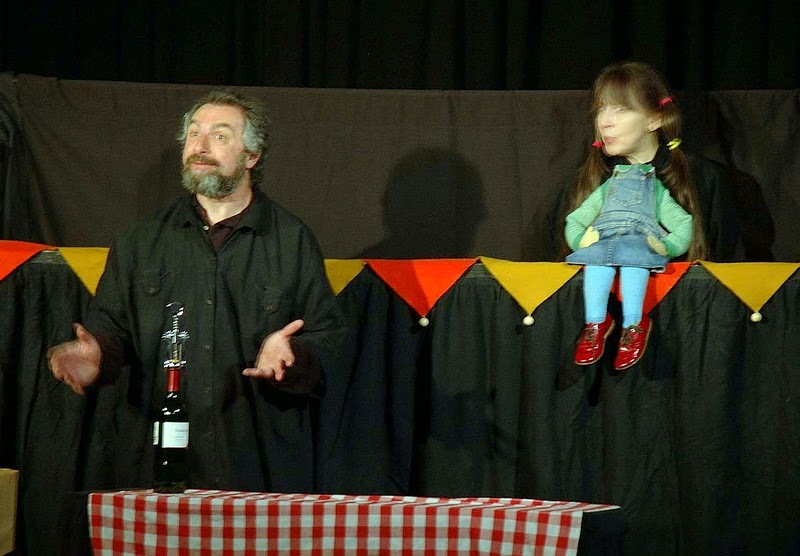 For over 20 years Nappy’s Puppets has toured nationally to theatres, festivals, libraries, and museums, delighting audiences of all ages with quality shadow theatre productions. Jim has also worked extensively as a freelance artist and puppeteer. As a member of Bits and Pieces Puppet Theatre he performed musicals with giant puppets across the country and around the world, including at the National Cultural Center in Japan and the National Theatre in Taiwan. His television credits include Between the Lions, The Book of Pooh, and segments for Nickelodeon, Scholastic Home Video, and HBO Pictures. He currently resides in Connecticut with his wife and two children. About the show: See your favorite tales come to life in this fun and interactive show, with the one and only Mother Goose as your guide! Watch Grandmother teach a wolf some manners in "Little Red Riding Hood." Then, help the hard-working "Little Red Hen" bake a loaf of bread. Meet "The Three Billy Goats Gruff" and "The Three Little Pigs." Finally, bring a "Gingerbread Man" to life with some make-believe ingredients...and a pinch of magic! About the performer: Kathleen “Sparky” Davis began dramatizing stories with hand puppets while working as a children's librarian. Since 1980, Sparky's Puppets have delighted children and family audiences at schools, libraries and festivals throughout New England. Every summer, Sparky creates a special show for the Rhode Island statewide public libraries' summer reading program. Sparky loves to see children's reactions to their favorite stories brought to life with endearing puppet characters. She is known for her quick wit and hilarious sense of humor. A preschool child at a recent show was heard to say. "It was so funny I burst out laughing!" "Brad Shur", "Carrot Salesman", "chris monti", "easter weekend", "entertainment", "family theatre", "puppet showplace", "puppet shows", "things to do in brookline", "things to do with kids"
Join Mr. Bunni, star and sympathetic hero of “The Carrot Salesman” as he searches for new customers and new friends. This show features beautifully designed, 2-dimensional puppets created by Artist in Residence, Brad Shur, a graduate of the Rhode Island School of Design. Imagine a giant pop-up book that comes to life right in front of your eyes! This gentle and interactive show is perfect for ages 2 & up. Join Mr. Bunni, a door-to-door vegetable salesman, as he journeys beneath the earth, into the sea, and even to outer space in search of new customers. Will he ever sell enough carrots to please his boss? Or will his new friends teach him a valuable lesson? This imaginative table-top performance features a live actor, colorful 2D paper puppets, and plenty of audience interaction. All performances of "The Carrot Salesman" will feature live music performed by local musician, Chris Monti. Brad Shur and Chris Monti in rehearsal for "The Carrot Salesman"
Brad Shur is a versatile puppeteer who has created and performed characters made of everything from pixels to papier mache. As the Artist in Residence at Puppet Showplace Theatre he performs 6-7 different shows each year in multiple puppetry styles. He also teaches puppetry classes to students of all ages, Pre-K to adult. Brad Shur in "The Carrot Salesman"
"anna fitzgerald", "brookline", "live music in boston", "multiple sclerosis", "object theatre", "puppet showplace", "puppets at night", "reverse cascade", "things to do in boston", "uconn puppetry arts"
Join us this April for another exciting "Puppets At Night" performance for adult and teen audiences. The Boston premiere of “Reverse Cascade” is a powerful theatrical tribute to circus artist Judy Finelli, who fights to remake her performance career after being diagnosed with Multiple Sclerosis. Created by Finelli’s student Anna Fitzgerald (UCONN Puppet Arts Program), “Reverse Cascade” features virtuosic manipulation, found-object puppetry, and original music. Recommended for ages 13+. What happens when the skills you have spent your life acquiring are stripped away from you by a debilitating disease? Do you give in, or find a well of deeper inner strength? Can we truly ever abandon what we love? Find out in this inspirational true story. Found object puppetry brings to life the inspiring story of circus performer Judy Finelli. After building a career as a circus performer and juggler with remarkable physical control, Judy's body began to fail her. For years, she searched for an answer and was eventually given a diagnosis of Multiple Sclerosis. Slowly, Judy lost control of her body, her spirit, and the juggler that was inside of her. But the circus called her back, and Judy found new ways to challenge herself, pushing her body to the limits once again. Through the simple magic of found object puppetry and live music, this production will lead you through a story inspired by Judy Finelli's amazing journey from legs, to wheels, to new heights. Students from University of Connecticut's famed Puppet Arts Program are proud to bring the Boston premiere of one of its newest works to Puppet Showplace Theatre. Anna Fitzgerald is a puppeteer from Baltimore, MD and an MFA candidate in Puppet Arts at the University of Connecticut. She has performed at The Green Mountain Puppet Festival, Baltimore’s Artscape and Whartscape, EnvisionFEST Hartford, and in theaters around the country. Anna began working in puppetry as a company member in Liebe Wetzel’s Lunatique Fantastique in San Francisco. She co-founded UnSaddestFactory Theater Company in Baltimore producing, directing and performing in several original plays and organizing and producing three sold out Ten Minute Play Festivals. Before moving to Connecticut, she studied Theater at The Baltimore School for the Arts, Mime and Social Theater with The San Francisco Mime Troupe, Justice at American University, Clown at lthe Clown Conservatory of San Francisco. She continues to write and perform her own puppet work on stage while dabbling in short stop motion films and exploring the new possibilities of visual arts. Throughout the run, paintings from “Snow on the Brain,” Marguerite McDonald’s visual exploration of her own experience living with MS, will also be on display. This discussion and exhibit are co-presented with VSA Massachusetts, the state organization on arts and disability. Multiple Sclerosis, or MS, is an unpredictable disease that damages the central nervous system. "animal april", "blanding turtle", "deborah costine", "family theatre", "new england animals", "puppet showplace", "puppet shows", "theater for kids", "things to do in brookline"
Nature and Animal Stories at Puppet Showplace! Series of puppet shows featuring your favorite creatures! UP NEXT: "Turtle's New Home"
"Turtle's New Home" by Deborah Costine, Puppeteer! New England animals are the stars of this charming story about friends in a wetland habitat. The little pond where Blanding the turtle has lived for many years is no longer safe because a road has been built between there and the place she goes to lay her eggs. When she meets young Castor the Beaver, who is eager to build a dam, she sees that her problems might be solved! Along the way, we also meet a young boy and his nature-loving babysitter who learn together how to look closely at nature. Debbie is an artist, naturalist and National award-winning puppeteer whose mission is to inspire the love of nature in children. She co-founded The Gerwick Puppets in 1974 and, with Len Gerwick, designed, and built 14 productions during which time she created over 200 puppet characters and presented over 5,000 performances throughout New England. her UNIMA award-winning show, "A Woodland Cinderella"
"Puppet SLAM", "chinese theatre works", "entertainment in boston", "puppet showplace", "puppetry", "theatre in boston", "things to do in boston", "things to do in brookline", "world day of puppetry"
"Puppet Showplace Slam: International Edition"
Every other month Puppet Showplace stays open late to deliver the finest in grown-up short form puppetry entertainment. Each cabaret-style piece is performed by a different artist or artists, and the content can be wide-ranging: some acts are elegant or poignant, others are satiric, irreverent, or humorous, and still others can be passionate, political, or spiritual in nature. In honor of the World Day of Puppetry, March's Puppet Showplace Slam will bring together puppetry styles and stories from around the globe. Performers include Chinese Theatre Works (NYC), Israeli mask artist Avital Peleg, Margaret Moody of Galapagos Puppets, Puppet Master Jake, Accordionist Ian Theo Mitchell, and more! Cash bar! Beer and wine will be served. "Brookline Village", "chinese folktales", "chinese puppets", "chinese theatre works", "puppet showplace", "things to do with your kids in brookline", "world day of puppetry", "year of the horse"
Celebrate the World Day of Puppetry with Chinese Folktales! March 21st is the World Day of Puppetry. Come celebrate with us at our final "Puppets Around the World" shows. This week, join Chinese Theatre Works of New York City for a puppet-filled trip through new year traditions. About the show: Celebrate the Year of the Horse in this fun and interactive show featuring a jolly selection of hand puppet vignettes based on popular songs and well-known Chinese sayings. Discover both ancient and modern pearls of Horse wisdom, such as: “The fastest Horse can’t catch up to a Promise once given,” “Ma Ma, Hu Hu” (Literally “horse, horse, tiger, tiger,” meaning something that is so-so), and “Patting the Horse’s Rear-End” (flattery gets you nowhere). Audiences will also learn about Chinese New Year customs and foods (red envelopes, fish and “nian gao”) and be introduced to other animals of the Chinese zodiac including Tigers, Rabbits, Dragons and Snakes. Sing-alongs, games, and a hands-on post-show hands-on demonstration will make the Chinese language and cultural experience accessible to even the youngest audience members! *Some parts of the program are performed in Chinese, with English translations and explanations. Chinese Theatre Works co-artistic directors, Kuang-Fong & Stephen Kaplin leading a shadow puppet lecture and demo. About the Performer: Chinese Theatre Works (CTW) was created in 2001 out of the merger of two non-profit institutions with long histories of bringing both traditional and contemporary Chinese performing arts to local, national, and international audiences. Now based in New York City, CTW's mission is to preserve and promote the traditional Chinese performing arts (including opera, shadow theatre, puppetry, dance and music); to create new performance works that bridge Eastern and Western aesthetics and forms; and to foster understanding and appreciation of Chinese culture in audiences, artists students, scholars and educators around the globe. Learn more about Chinese Theatre Works here. "adult classes in brookline", "brenda huggins", "how to make silly voices", "how to make voices for puppets", "kaitee tredway", "puppet showplace", "voice class", "voice technique", "washburne"
Learn How to Create Character Voices! Are you a puppeteer, storyteller or librarian? Are you a parent who wants to incorporate character voices into story-time with your little ones? Sign-up for "Silly Voices" and learn how to bring exciting characters to life with your voice. Class starts soon, sign-up today! In this fun and rigorous class, participants will discover how their voice works and learn how make it work for them. Through interactive vocal warm-ups and exercises, students will explore their own vocal ranges and learn techniques for breath support, projection, and maintaining vocal health. The class will make connections between voice, character, and storytelling using group activities and multiple styles of puppetry and object theatre. This class is recommended for anyone interested in expanding their repertoire of consistent and expressive character voices, from professional performers to puppetry enthusiasts. "I left Silly Voices with a toolbox: warm-ups, visualization exercises, access to different resonating chambers, and perhaps most importantly, the confidence to experiment and play within my own voice"
Brenda Huggins is a singer, actor, puppeteer, costume designer, theatre and opera director, and teaching artist with an M.A. in Theatre Education from Emerson College. Her background in classical vocal music as a graduate of Western Connecticut State University with a B.A. in Music lead her to develop a unique approach to voice performance that is a combination of techniques from across music and theatre disciplines. Brenda has taught this innovative philosophy in the Greater Boston Area for over 5 years as a private voice teacher and workshop instructor for youth, college students, and adults. Brenda led a workshop of this cross-discipline voice performance technique at the 2013 National Puppetry Conference in Swarthmore, PA. Brenda is the co-creater and puppeteer of Puppet Showplace Theatre's Puppet Playtime, an interactive puppetry performance series with live music for very young audiences. Learn more about PUPPET PLAYTIME. Learn how to master your own vocal technique in an encouraging classroom environment! "boston", "brookline", "fringe theatre boston", "joshua holden", "live music", "mr. nicholas", "puppet showplace", "puppetry", "sock puppet", "things to do in boston", "vaudville"
How did you become a performer? I started performing in community theatre at the age of 7 after seeing my first live performance at the North Shore Music Theatre in Beverly. It became very clear to me that this is what I wanted to do with the rest of my life. 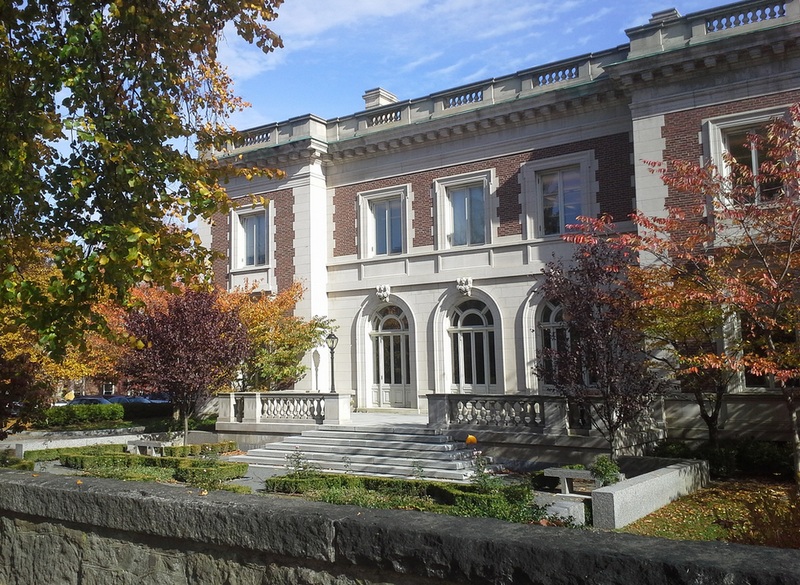 In my junior year of high school i was awarded a scholarship to attend the Walnut Hill School for the Arts in Natick and graduated from there the following year. I feel so proud to be in Boston doing what I love. How did you create “The Joshua Show”? I lived a nomadic life for nearly four years while traveling the US with various national tours. At the end of this long chapter of my life, I had no home base and no obligations. I went on a road trip with a friend, and while passing through Chicago, I was invited to perform in a puppet slam. It felt way too scary to create an original piece in such a short amount of time and I initially said, "No, I wouldn't know what to do" My friend responded with, “Well, what do you daydream about?” and I jokingly said, "I want to be the next Mr. Rogers and host my own television show." She said, "then do it!" So, that’s what I did! I made two puppets, and called the piece “The Joy Friends.” It was only 10 minutes long, but people were so excited about what they saw at the puppet slam that I decided that I would continue working on it. Joshua Holden, puppeteer in "Peter Pan 360"
Who did you collaborate with to create “The Joshua Show”? I have worked with two very talented musicians: Alex Knapp & Tim Hansen. Tim is an Australian composer that I met in New York about a year and a half ago. When the piece was still in development, we tried out new material at puppet slams and workshops. Tim wrote an adorably awesome song celebrating what it’s like to be a sheep called “When you’re a sheep” back in 2008 and we worked it into the show. He has now since moved back to Australia but when he said he would be in the U.S. this February, I had to have him as part of the performance of “The Joshua Show” at Puppet Showplace! Joshua Holden with Tim Hansen, composer and musician. Why do you incorporate puppets and tap dancing in your show? I present myself in “The Joshua Show” as a gentleman and I create work that is genuinely accessible to both kids and adults. I strive to create work that spreads joy to my audiences. Bringing puppets to the show is a no-brainer because they are instant joy makers. Tap dancing is one of the happiest forms of dancing and it's intergenerational. It pumps up the energy of the show. Joshua Holden with puppet character from "The Joshua Show"
What was your experience at the 2013 National Puppetry Festival? Applying for the National Puppet Festival was scary but exciting. I only had a 10 minute piece when I applied. I was accepted to perform at the festival under the agreement that I would expand the piece to 45 minutes in length. Over the course of a year I traveled all over the country from New York City, to Chicago, Philadelphia and even Reading, MA adding more material with each performance. When I finally got to the festival, I was overwhelmed with the national puppet community and the abundant talent surrounding me. When I was awarded “Fan Favorite” and “Best Performance” at the awards ceremony, I was shocked and incredibly proud that all my hard work had paid off. Who inspires and influences your creative work? I often find myself looking at classic children's television hosts. Mr. Rogers is my biggest influence. Everyone was affected by him as a humanitarian and everyone's best friend. Yes, he was a bit sappy, but he made you feel so good about yourself and his positive messages resonated with everyone. When I look at what’s happening in today's entertainment, we don’t have that classic host with a cast of characters. I want to create a platform similar to Mr. Rogers and talk about the issues we are dealing with in todays world. Joshua Holden with Mr. Nicholas in "The Joshua Show"
What do you hope to communicate to the audience? This show is 100% from my heart. It's about celebrating our differences and finding joy in everyday life and about respecting your feelings and the feelings of others. It's about loving this awesome life we get to live each and every day. What is next for the Joshua show? I'm currently creating new material for "The Joshua Show" that I will be filming and putting on my YouTube channel in attempts to expand my audience and reach as many people as I can. I'm greatly honored to announce that in the spring of 2015 I will be performing at The Center for Puppetry Arts in Atlanta, GA for thirteen shows. "Brad Shur", "adult classes", "arts and crafts", "brookline", "build your own puppet", "puppet building", "puppet classes", "puppet showplace", "rod puppet"
More Adult Classes at Puppet Showplace! A wise man once said there is no greater joy on earth than working with one’s hands. Get busy with yours by designing and building your own puppet with the guidance of artist Brad Shur, and bring your puppet to life from the very first design. Class starts soon, sign-up today! Learn about Brad's touring performances. Adult students working on their puppets at Puppet Showplace Theatre. For more pictures of Brad’s adult class last year check out our flickr photos here. Puppets are moving sculptures carefully crafted to be brought to life. Engineering and design play crucial roles in shaping a puppet character's personality and movement abilities. In "Puppet Building 101" participants will create their own original sculpted rod puppet from scratch. To begin, class members will learn how to turn their ideas into drawn designs, ready to be produced. From there, participants will sculpt plasticine, apply paper mache, pattern and sew fabric, and apply other materials to turn their designs into fully functional, performance-ready works of art! Although the puppet made in class will be a rod puppet, the skills and techniques used are applicable to many types of puppet construction. This is an intro-level class. Lessons are cumulative so consistent attendance is important. Participants will be expected to work on projects outside of class time. Get creative, and bring your original puppet design to life! "Tanglewood Marionettes", "arabian adventure", "brookline", "feb vacation week", "marionette", "puppet showplace", "things to do with kids"
Travel Around the World this Vacation Week! About the show: “An Arabian Adventure” tells the tale of a Persian prince who is thrown into a dungeon because of his love for a beautiful princess. Facing danger at every turn, the courageous prince must battle his way out of the underground prison to save his princess from a tragic fate. The production features over a dozen beautifully hand-crafted marionettes, exquisite “story-book” style scenery, and a soundtrack that combines traditional Western and Middle Eastern music. 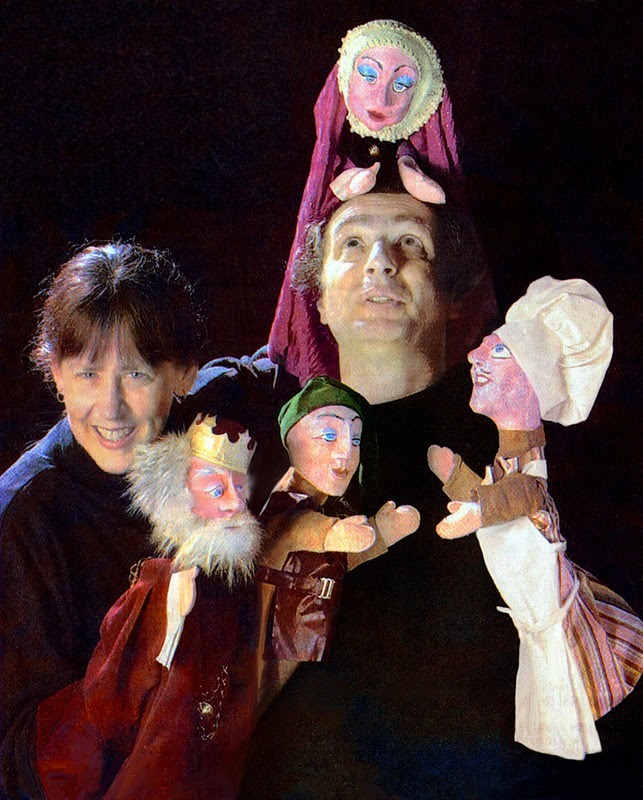 About the performers: Founded in 1993 by Peter and Anne Schaefer, Tanglewood Marionettes is a nationally touring marionette company whose unique productions have been seen by hundreds of thousands of children and families across the country. With seven shows currently in their repertoire, the company performs year-round at venues ranging from school assemblies to renowned cultural institutions. The company has received two UNIMA awards, puppetry's highest honor, for their productions "An Arabian Adventure" and "The Dragon King." UNIMA Awarding-Winning production of "The Dragon King"
Tanglewood Marionettes believes above all that a performance is a communal experience, with connections established not only with the performers, but also between members of the audience themselves as they laugh together, gasp together, and cheer together when the good guys prevail! "Jon Little", "Little's Creatures", "brookline", "classes for adults", "learn to perform a muppet", "muppet style puppets", "puppet showplace", "puppetry classes"
Learn Mouth and Rod Puppetry at Puppet Showplace! Some characters are too good to keep bottled up. Let out your inner monster with the "Furry Monsters 101" class at Puppet Showplace Theatre taught by master puppeteer Jonathan Little of Little's Creatures. This class is for adults and mature teens ages 16 and up. Students practicing with puppets made by Little's Creatures at Puppet Showplace. Take a page of the Muppet, Sesame Street, or saucy Avenue Q handbook and create your own character through the use of a professional hand and rod puppet. Work with “Little Creatures” puppet company founder Jonathan Little, and give life to your inner characters. Will your puppet character be sassy? Meek? A childhood hero or an inner demon? Explore an exciting, visual storytelling medium in a supportive classroom environment with fellow adventurers. Jonathan Little is the founder of Little’s Creatures, a full service puppet company based in Medford, MA. Little’s Creatures has built puppets and performed for individuals and companies across the United States and abroad. 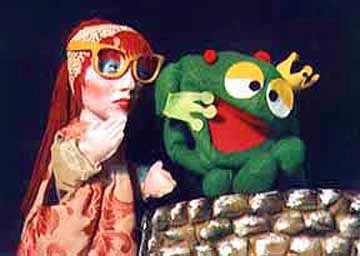 Current puppetry projects include the Time Machine Guitar TV series and the National Fire Prevention Association’s “Sparky the Fire Dog” fire safety videos. Jon has been a Puppet Showplace teaching artist since 2011. Jon and Chris Little, Little's Creatures performing Sparky the Fire Dog. He received his own puppetry training from some of the nation’s best television puppeteers including Muppeteers Martin P. Robinson, Leslie Carrara-Rudolph, Tyler Bunch, Tim Lagasse, and Jim Kroupa. For the past four years, Jon has worked as the teaching assistant in Jim Kroupa’s mechanism workshop at the Eugene O’Neill National Puppetry Conference. In addition to performing, Jonathan is skilled in the fine arts, including sculpture, film, video, drawing, and painting. 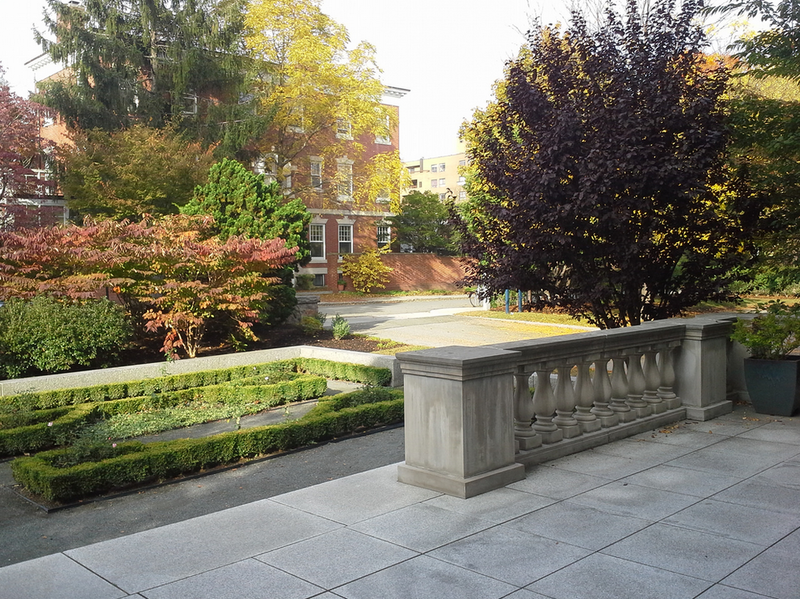 He holds a degree from The School of the Museum of Fine Arts in Boston. He is a skilled dancer, with over 14 years of ballet training (Red Shoes Ballet, South Shore Dance, and Boston Ballet). He has also trained in comedy improv with ImprovBoston. In Furry Monsters 101, participants will learn the proper technique of hand and rod puppetry. Professional puppeteers know how to make these characters appear as living, breathing beings with their own thoughts, desires, and motivations. After learning the basics (breathing, lip-synch, focus, and body position), participants will also be able to bring their own characters to life too. Their hands will start to have minds of their own! Participants will also cover essentials such as character interpretation, rhythm and timing, storytelling, puppet-assisting , working with props, creating a puppet film, improv and comedy, television monitor technique, and puppet/actor interactions. This is an ideal class for actors, comedians, die-hard Muppet fans, dancers, animators, or anyone interested in learning puppetry. For those ready to embark on the hilarious, rewarding adventure of bringing your own puppet character to life, “Furry Monsters 101” is the perfect opportunity! You can find more info about upcoming classes at Puppet Showplace online. CICK HERE.